Finding quality equipment can be one of the big issues in improving your bootcamp. Below I have some suggestions of places you can start. Don’t forget that a large part of your business is also the way in which you interact and coach people. 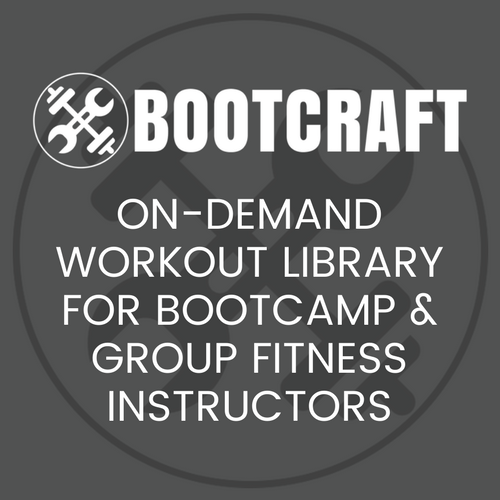 Be sure to check out Bootcamp Resources for some great sites to learn more. Gymboss Interval Timer – These powerful pocket sized timers (made famous by BodyRock) are an essential part of your Instructors kit. You can use these for interval trainer or just a as a lap timer. It’s just as cheap to order these from the manufacturer, even in Australia. Buy a couple as they can be a little temperamental sometimes. Cones – The limit on what you can do with cones really comes down to your imagination. I use my cones to set up drills, mark out different running distance for different fitness levels, create circuits and for use as tokens. Multi-coloured sets are useful for setting up more complicated drills. Mats – I run bootcamps in Melbourne, Australia. The grass is frosty nearly every morning, even around summer. Your situation might be different but for me having mats means I’m not restricted in my workouts and exercises. Playing Cards – Playing cards are great if you need a quick finisher or for workouts which involve a random element. While FitDeck cards can be good for inspiration, a regular set of playing cards is usually all that’s needed. Medicine Balls/Exercise Bands – Double or triple the variations you can do on an exercise by adding a medicine ball or exercise band. Exercise bands are space efficient and light weight so they are great if you are carrying them around with you all the time. On the other hand medicine balls are physically easy to use and can also be used for plyometric and stability exercises. Check out the posts below for more info. A comprehensive list of online and retail suppliers of bootcamp equipment. Most of these companies offer wholesale prices for Personal Trainers so be sure to scour their websites. Plenty of websites and books to increase your knowledge on business, exercises and training.